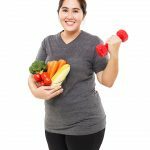 PCOS Diet And Lifestyle – What Should You Do If You Have PCOS? Scientists have found that following a PCOS-friendly diet and lifestyle can help women avoid the negative effects of this syndrome (1). This hormonal disorder affects women of reproductive age and is characterized by multiple cysts in the ovaries, irregular or no/prolonged periods, weight gain, excessive hair growth, high blood pressure, diabetes, depression, etc. 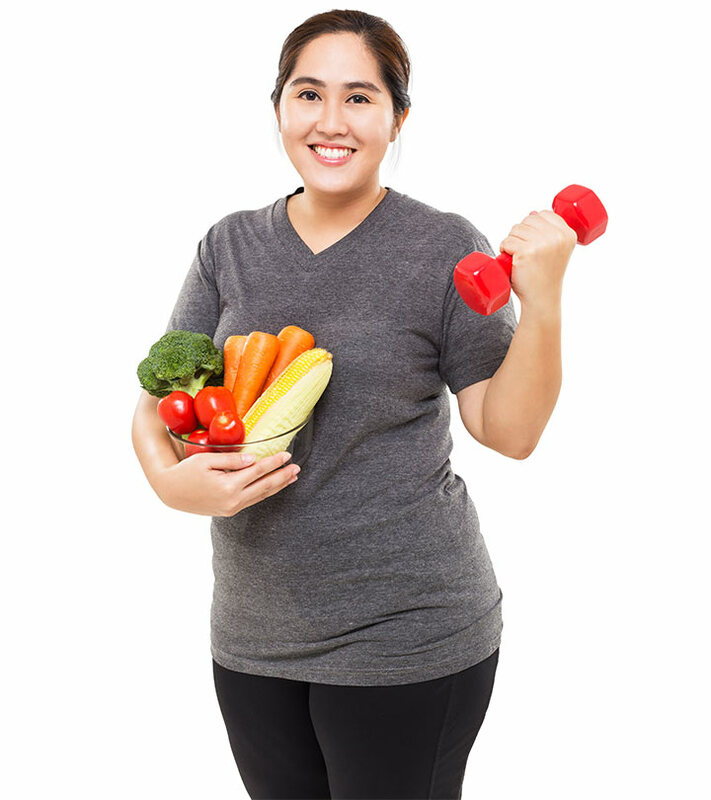 (2).In fact, a PCOS diet and workout plan can help improve your physical as well as mental health. Read on to find answers to your PCOS-related questions as well as a 7-day PCOS-friendly diet and exercise plan. Swipe up! 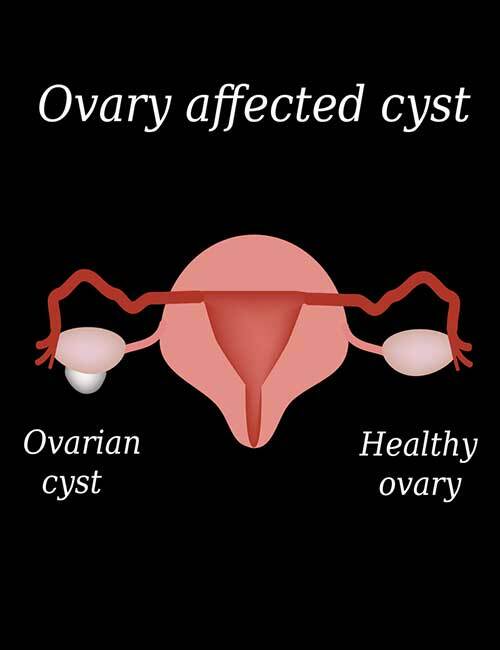 PCOS or Polycystic Ovarian Syndrome is a hormonal imbalance that occurs in women of reproductive age, which leads to small cysts in the ovaries, more androgen production, insulin resistance, facial hair, depression, anxiety, diabetes, and infertility. More than 100 million people suffer from PCOS worldwide. And though genes play a vital role, lack of exercise and proper diet can also lead to this condition. But how? Well, PCOS is interlinked with diabetes, unhealthy lifestyle, hormones, and insulin resistance. Let’s talk about it in detail so that you understand your condition better. What Causes PCOS And Why Do You Gain Weight? 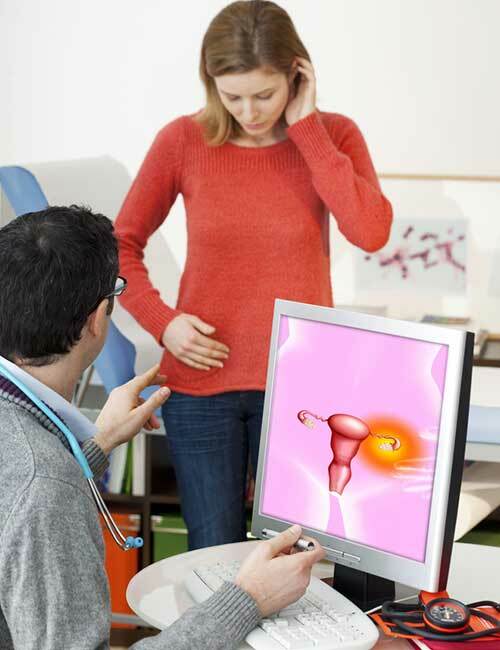 PCOS or cysts in the ovaries are mainly caused due to hormonal imbalance. The second most predominant cause is faulty genes. Stress, unhealthy foods, and following an unhealthy lifestyle for a prolonged period can trigger PCOS. So, even if no one in your family has PCOS, you can have cysts in your ovaries. How is that possible? Here’s a brief explanation. Your pancreas produces a hormone called insulin that helps transport glucose to the cells for further breakdown and energy release. When you follow unhealthy food habits and binge on foods, your glucose levels are constantly high. This causes the beta cells in the pancreas to secrete more insulin to lower the blood glucose levels. When there’s a constant high level of insulin, your body becomes insulin resistant. It is similar to mosquitoes being resistant to DDT or bacteria becoming resistant to antibiotics. So, now that your body is insulin resistant, the blood sugar levels remain high. This, in turn, triggers even more insulin production. In the meanwhile, your cells are devoid of glucose or sugar to convert it into energy. This is precisely the reason you constantly feel hungry and lethargic. Insulin resistance causes diabetes and imbalance in the hormones, especially the androgens, leading to hirsutism (excess facial hair) and PCOS. Sometimes, the beta cells just don’t produce enough insulin, and therefore, your blood glucose levels remain high for prolonged periods. It is a complex process, but it sure has got to do a lot with what and how much food you eat. We will get to that in a while. First, let’s take a look at the symptoms of PCOS. If you are experiencing any of these symptoms, here’s what you should do. 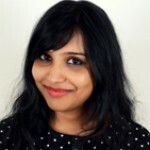 So You Think You Have PCOS? Do This! You must immediately book an appointment with your gynecologist. 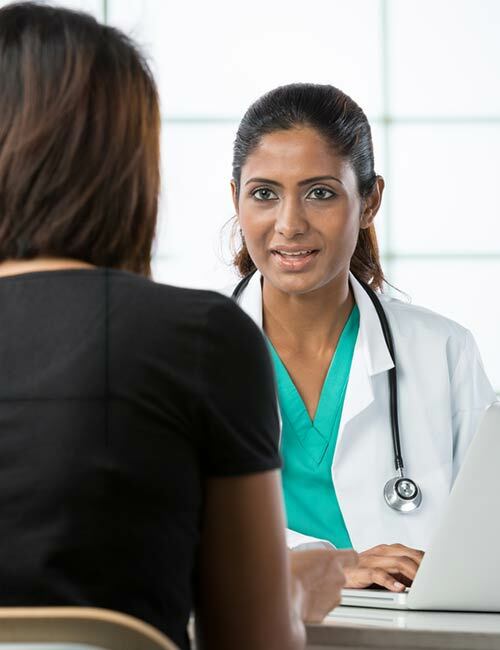 Your doctor is the best person to confirm whether or not you have PCOS. You might need to get an ultrasound done and take medications. Medication will depend on the severity of the issue and if you are planning to start a family soon. Bottom line: Do not assume you have PCOS unless your doctor confirms it. Just relax, get the tests done, take the medicines on time, and more importantly, change your diet and lifestyle. This would be the best treatment for PCOS. Here’s a 7-day PCOS diet plan for you. Any day can be Day One of this diet. You do not have to wait for the coming Monday or even next month. Here’s what you should eat. Tip: If you feel hungry before your next meal, have a cup of green tea (do not exceed the 5 cups a day limit), drink water, or have a fruit. 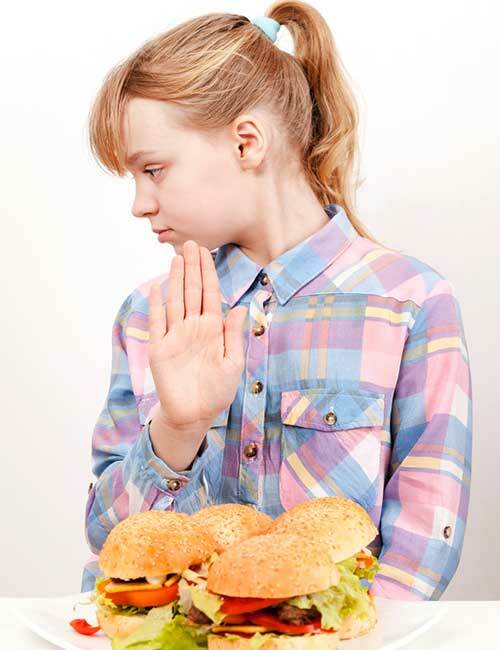 And if you are offered food that doesn’t agree with your new diet, politely say no. It will be difficult for you to stay away from the tasty but harmful junk food that you are used to. However, by staying focused on Day 1, you can easily glide through the next six days. Let’s see what should you consume on Day 2. By the end of Day 2, you will start noticing a difference – not in your body weight, but in the way you feel about starting a new lifestyle and making a new beginning. Getting up early, eating right at the right time, and getting 7 hours of sleep will help you flush out physical and mental toxins. This will be a strong motivator, and you will look forward to Day 3. By the end of Day 3, you will feel and weigh lighter than before. And that’s because you will lose a lot of water weight. This, in turn, will help you be more focused on healthy eating and lifestyle. Here’s what you should eat on Day 4. By the end of Day 4, your new lifestyle will be your new normal. You will feel better and sleep better. Eager to know about Day 5? Here you go! By the end of Day 5, you will see a visible difference in your appearance and the way you feel about yourself. 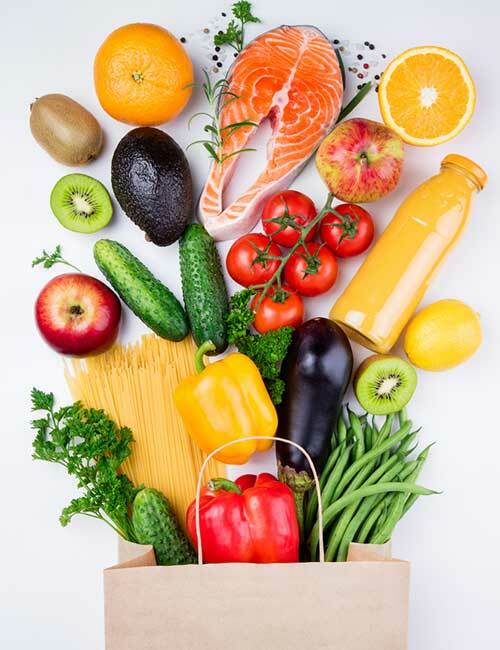 Being able to stick to a diet that is good for you will bolster your confidence levels, and you will clearly see a future where you do not have to depend on medicines to treat PCOS. Let’s find out what you should eat on Day 6. The dark chocolate by the end of Day 6 will feel very refreshing. Do not go overboard with it. Plus, now, even your close ones will start noticing a difference in you. But they will not be quite sure what it is. And my advice is, keep them guessing! Now, let’s take a look at Day 7. By the end of Day 7, you will be amazed to have come so far, and this will boost the levels of adrenaline and serotonin (feel-good hormones). You will feel more determined than ever and love your new lifestyle. But is this diet for only 7 days? No. So, what should you do after Day 7? Find out next. Yes, following the same diet plan for weeks can become boring. So, here is a list of foods you can consume and avoid. Plan your own diet and live a healthy life. Scroll down. There are also foods that you MUST AVOID. Take a look at the list below. When you change your diet and exercise, you will start to feel good. However, there are a few other things you should keep in mind. Take a look at the next section. Apart from making these changes in your life, if your doctor recommends, you may have to undergo PCOS treatment. But the question is, what can happen if you do not follow a PCOS diet and lifestyle? Take a look at the following section. PCOS, if left untreated, can lead to infertility. And this might bother many women, leading to stress, which will only aggravate the situation. Menopausal women can suffer from various health issues, such as high cholesterol, and hypertension. To conclude, 3 out of 5 women have PCOS, and it is mostly because of poor lifestyle choices. By changing your diet and lifestyle, you can not only reduce its effects but also turn your life around. So, if you have PCOS or know a friend who has it, take action now! Remember, it is never too late to start. And start by talking to your doctor and following a PCOS diet and lifestyle. Good luck!